Pool Safety Inspection - Buying Or Selling With A Pool? Needing a Pool Safety Inspection? Another inspection service we have available to customers is a Pool Safety Inspection. Here we go through what is required from pool owners in Queensland. Whether buying, selling or leasing a property, there are individual responsibilities for everyone. 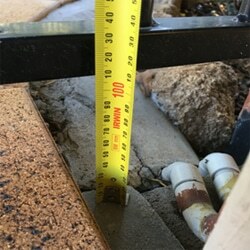 Our role is to determine whether the pool barrier complies with the Standard. If it does we then issue a Pool Safety Certificate, if it doesn't you receive a nonconformity notice. This notice will explain the reasons why it failed and you have three months to fix the issues and have a re-inspection. It's every pool owners responsibility to correctly maintain pool fences and safety barriers. This is to help reduce young children from drowning or serious injury. 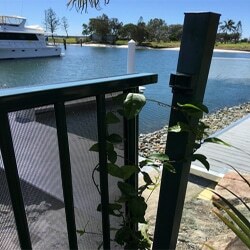 The state government has release new legislation under chapter 8 of the Building Act 1975 which states a pool barrier is more than just your pool fence. It also covers the walls of any building that encloses the pool. Do I need a Pool Safety Inspection? When buying, selling or leasing a property a pool safety certificate has to be issued by a licensed pool safety inspector. The certificates are valid for 2 years for a non shared pool (private - residential) and 1 year for a shared pool (body corporate complex). The pool will need a current pool safety certificate before a lease is signed. In the case of a non shared pool, the certificate will last for 2 years. You can have new tenants within that 2 year period without having to get another pool safety certificate. Once that 2 years has lapsed, then you will need to renew the certificate and get another pool safety inspection before a new lease is signed. Selling a property with a pool - If there is no active/valid pool safety certificate in place before settlement then the seller/vendor must provide a Form 36 to the buyer and to the QBCC. Buying a property with a pool - If the purchaser accepts the Notice of No Pool Safety Certificate issued by the vendor/seller you have 90 days from settlement to get a Pool Safety Inspection. Additional information can be found on the Queensland Government Website, under Department of Housing and Public Works. Gate not closing from all positions. 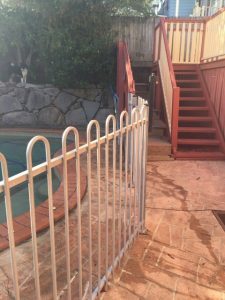 Pool Fence needs a minimum of 100mm gap from bottom of fence to ground. Pool Fence broken away from post. Certified Home Inspections is licensed to conduct your Pool Safety Inspection. Contact our Pool Safety Inspection Team today to find out how it affects you and how much it will cost. You can book in a Building and pest inspection with your Pool inspection.